When I gave readers an opportunity to select their favorite political cartoonist back in 2013, they picked Michael Ramirez. And I can understand, given the excellent options that I shared (here, here, here, and here). But I now think I overlooked his true masterpiece, at least if salience is an issue. The cartoon he produced on politicians and bureaucrat unions perfectly identifies the problem that has produced gaping fiscal shortfalls in so many states and communities. Simply stated, politicians and bureaucrats have figured out how to gang up against taxpayers. The Chicago Tribune recently opined on this horrific example. …a controversial state law…allowed a lobbyist for the Illinois Federation of Teachers, David Piccioli, to become certified as a substitute teacher in December 2006 by working one day at a Springfield elementary school — and to buy pension credit for his 10 previous years working as a lobbyist. That sweet deal qualified him for a pension windfall from a teachers retirement fund that as of late 2018 carried an unfunded liability of more than $75 billion-with-a-B. Because he also draws a pension from a previous job as a House Democratic aide, Piccioli’s total pension income now rises to nearly $100,000. Sadly, Illinois courts routinely acquiesce to this kind of scam. …the court upheld a dubious loophole that allowed government employees who left those jobs to work for their union in the private sector to still qualify for a public pension — with payouts based on their much higher salaries in their union roles. One example: Former Chicago labor boss Dennis Gannon, who started out working for the city, was able to retire at age 50 with a city pension based on his union salary of at least $240,000. The Supreme Court upheld that arrangement too. Perhaps those actually were correct legal decisions. But, if so, that underscores my original point about politicians and bureaucrat union working together to fleece taxpayers. This story underscores the unfairness of a system that provides much higher levels of compensation for government bureaucrats compared to those toiling in the economy’s productive sector. 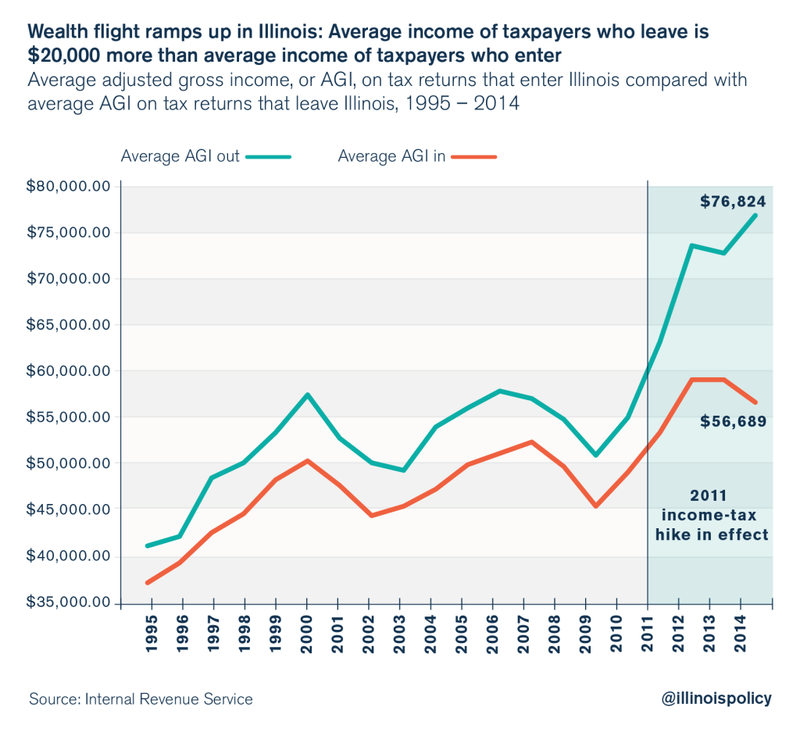 But it also can be seen as a Exhibit A for why Illinois is a fiscal black hole. Which is, of course, why the state’s politicians are so anxious and determined to get rid of the state’s flat tax. And this explains why productive people are leaving. Needless to say, this won’t end well. P.S. I’m not going to put Mr. Piccioli in the Bureaucrat Hall of Fame. That high honor is reserved for people who actually had government jobs for longer than one day (such as the Philadelphia bureaucrat who “earned” a $50,000 annual pension after being employed for just 2-1/2 years. As a consolation prize, I will instead offer him up as a potential candidate for Bureaucrat of the Year. We also know that the counties where most federal bureaucrats reside are now the richest region of the entire nation. The three richest counties in the United States with populations of 65,000 or more, when measured by their 2016 median household incomes, were all suburbs of Washington, D.C., according to data released today by the Census Bureau. Eight of the 20 wealthiest counties with populations of 65,000 or more were also suburbs of Washington, D.C.–as were 10 of the top 25. …With Falls Church City included in the 2015 data, the nation’s four wealthiest counties were D.C. suburbs. To be fair, this data is also driven by all the high-paid lobbyists. contracts, consultants, and others who have their snouts buried in the federal trough. So the incredible wealth of the DC region is really an argument for shrinking the size and scope of the federal government. But the bureaucracy is part of the problem. Interestingly, even the Congressional Budget Office concluded that bureaucrats are overpaid. And CBO almost certainly understated the gap, as noted in congressional testimony. The CBO report’s headline figure is that, on average, federal salaries and benefits are 17 percent above private-sector levels. … I would consider the CBO’s reported federal compensation premium to be on the low end… when I analyze federal employee wages using the methodology that the progressive-leaning Economic Policy Institute has used in numerous studies of state and local government salaries, I find an average federal salary premium of not 2 percent but of about 14 percent. … The CBO chose to value federal employees’ pension benefits using a 5 percent discount rate. Using that discount rate, the federal employee retirement package was found to be substantially more generous than is received by comparable private-sector employees. 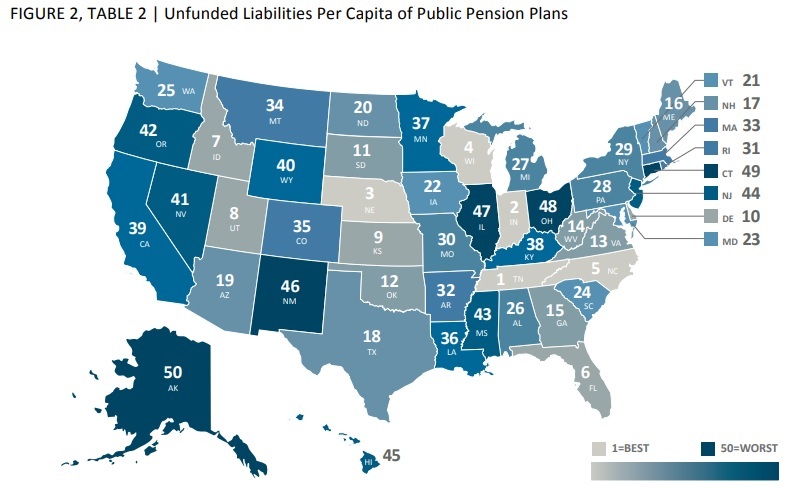 But…corporate pensions are not nearly as safe as federal pensions, as witnessed by pending benefit reductions for “multiemployer” defined benefit plans. 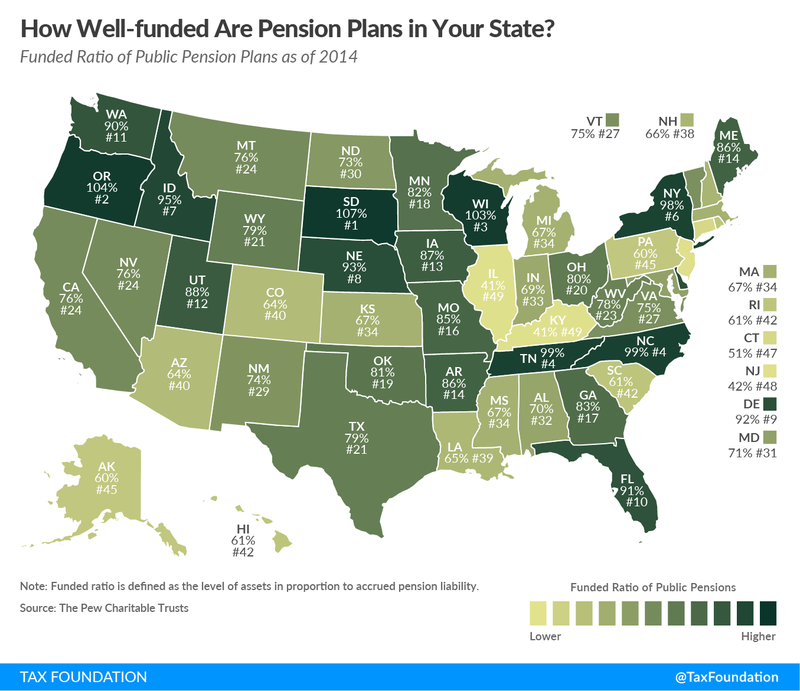 Valuing federal pension benefits using a lower discount rate to better reflect their safety would find a higher overall federal compensation premium. Notwithstanding all this evidence, the unions representing bureaucrats nonetheless try to crank out numbers showing federal employees are underpaid. To be sure, overall compensation levels don’t tell us everything. It is important to adjust for education, skills, and other factors. Which is why the most useful, powerful, and revealing data in this debate is produced by the Bureau of Labor Statistics, which measures voluntary quit rates by industry. If there is a lot of turnover in a sector of the economy, that suggests workers are underpaid. But if there are very few voluntary departures, that suggests workers in that part of the economy are overpaid. 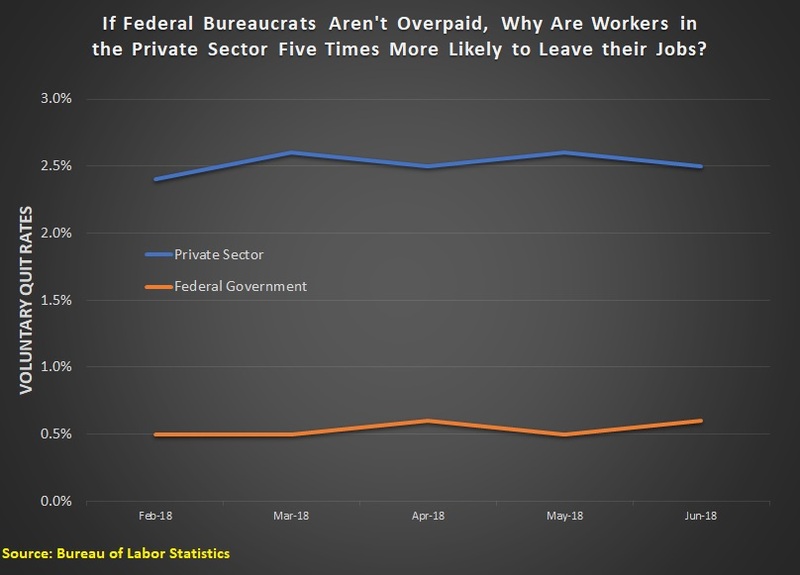 And the numbers from BLS clearly show that federal bureaucrats are far less likely to leave their positions when compared to employees in the private sector. This five-fold gap is staggering. I have lots of friends who work for the federal government. Most privately confess that they know that are making out like bandits. I think I’ll send this chart to the few holdouts. By the way, I shared the numbers about quit rates for state and local bureaucrats back in 2011. Same story, though the compensation gap isn’t quite as large and may be driven mostly by unfunded fringe benefits. P.S. I’m much more interested in shrinking government rather than shrinking pay levels. The correct pay for bureaucrats at the Departments of Transportation, Housing and Urban Development, Education, Energy, and Agriculture is zero. Why? Because they bureaucracies shouldn’t exist. I’m not a fan of conspiracy theories. When people ask me whether there is some sinister, behind-the-scenes cabal running Washington, I tell them that petty corruption, self interest, and “public choice” are much better explanations for the nonsensical policies being imposed on the country. So you won’t be surprised that rhetoric about the “deep state” rubs me the wrong way. If the term simply was used to describe D.C.’s bloated, self-interested, and left-leaning bureaucracies, that would be okay. But is seems that the phase also implies some sort of secret master plan on the part of shadowy insiders. To be blunt, the people in Washington don’t have the competence to design, implement, and enforce any type of master plan. Yes, we have a Leviathan state, but it’s much more accurate to think of Uncle Sam as a covetous, obese, and blundering oaf (as illustrated by my collection of cartoons). That being said, that oaf is not a friend of liberty, as explained in an article published by the Federalist. …to make a government job more like the ones the rest of us have will require the president and Congress to undo more than a century of misguided, anti-democratic, and unconstitutional laws governing the civil service. …the bulk of the civil service—2.8 million bureaucrats—has become a permanent class of powerbrokers, totally unaccountable to the winds of democratic change. …incompetence and corruption are the least of the problems with the modern civil service. With 95-99 percent of political donations from government employees going to Hillary Clinton in the last election, it looks less like a system of apolitical administrators and more like an arm of the Democratic Party. …Civil service protections…have created a system that grows government and advances left-wing causes regardless of who the people elect. Moreover, there is a structural feature of the Washington bureaucracy that gives it dangerous powers. …the administrative state distorts the United States’ constitutional architecture…Clarence Thomas…is urging the judicial branch to limit the legislative branch’s practice of delegating its power to the executive branch. …This subject is central to today’s argument between constitutionalists and progressives. …Today, if Congress provides “a minimal degree of specificity” in the instructions it gives to the executive, the court, Thomas says, abandons “all pretense of enforcing a qualitative distinction between legislative and executive power.” …the principles Thomas has articulated “attack the very existence of the modern administrative state.” This state, so inimical to conservatism’s aspiration for government limited by a constitutional structure of rival branches… Woodrow Wilson…became the first president to criticize America’s founding, regretted the separation of powers because he thought modern government required a clerisy of unfettered administrators. …Today we are governed by Wilson’s clerisy, but it does not deliver what is supposed to justify the overthrow of James Madison’s constitutional system — efficient, admirable government. Peter Wallison of the American Enterprise Institute adds some cogent analysis. Although the Constitution places the federal legislative power in Congress, it is now increasingly — and alarmingly — flowing to administrative agencies that, unlike Congress, are not directly accountable to the public affected by their decisions. Unless we can find a solution to this problem—a way to curb and cabin the discretionary power of administrative agencies —decentralization and individual self-determination will eventually be brought to an end. …The framers believed that the tripartite structure of the federal government would be enough to prevent any one of the three branches from consolidating the power of government and becoming a danger to liberty. But with the growth of the administrative state, we may now be seeing exactly the consolidation of powers that Madison feared. …the judicial branch is supposed to be the final interpreter of the Constitution and thus the objective protector of the framework the Constitution ordains. But unfortunately, modern courts have generally failed to perform this role… America is an exceptional country in part because its constitutional framework has, until relatively recently, limited the government’s ability to centralize its control and restrain the nation’s diversity. If we are to avoid a dramatic over-centralization of power, the growth of the administrative state must be restrained. In an article for National Review, Stanley Kurtz delves into the topic. Robert Gebelhoff of the Washington Post points out that this fight has major implications. One of the legal issues that’s less often discussed is the role that the next Supreme Court justice will play in conservatives’ long-running legal fight to limit the size of the federal government. For decades, conservatives on the bench have been losing that war, giving way to a system of administrative law that is written, for the most part, by bureaucratic agencies. …it’s a really big deal. Over the past half century, agencies have exploded in size and power, so this debate really is about how much power the federal government should have. …Conservatives, fearful that bureaucracies are becoming an unchecked “fourth branch of government,” have decried agency deference. Just last month, Justice Clarence Thomas argued that the doctrine “has metastasized,” as if it were a cancer. And back in 2013, Chief Justice John Roberts warned of the “danger posed by the growing power of the administrative state…” Both Roberts and Thomas frame the issue as a threat to the separation of powers: We’re letting agencies in the executive branch dip into the powers reserved for the judicial and legislative branches. …And by allowing bureaucrats the ability to define the scope of their own jurisdiction, we let them answer questions meant to be left up to the courts. This, they argue, is at odds with the Constitution. …Conservatives fearing a powerful bureaucratic state have few legal weapons to fight it. The future of a small-government Supreme Court is bleak, and the march toward greater agency control of the law will probably continue forward. I’ll close with some recent polling data about the “deep state” from Monmouth University. I’m not sure what to think of the answers. I like people to be suspicious of the federal government. But I’d much prefer them to be concerned because they’re reading my daily columns, not because they think there’s a sinister plot. I prefer the answers to this next question. Most people presumably have never heard of “administrative law” or the “administrative state,” but they do have a healthy skepticism of bureaucratic rule. Most of the authors cited today correctly want federal judges to fix the problem by limiting the power of bureaucrats to make and enforce law. That would be desirable, but I’d go much further. We should eliminate almost all of the agencies, programs, and departments that clutter Washington. Then the problem of the administrative state automatically disappears.